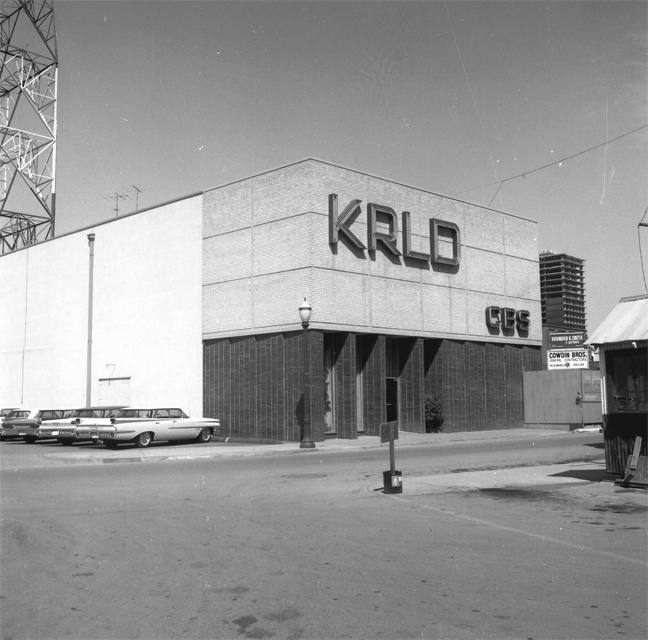 Mike Shannon has tentatively identified this KRLD announcer as the late Hugh Lampman, who was the host of "Music Til Dawn" from 1954 to 1963. 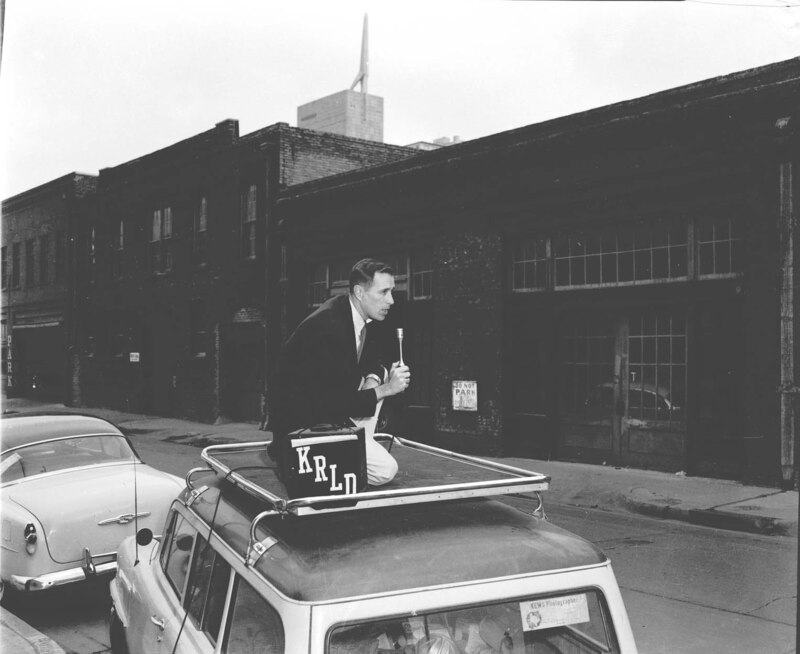 Jack Schell, who worked for years with Hugh Lampman at KVIL, says it definitely is Hugh. 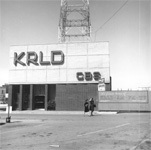 Teletype machine at KRLD news. 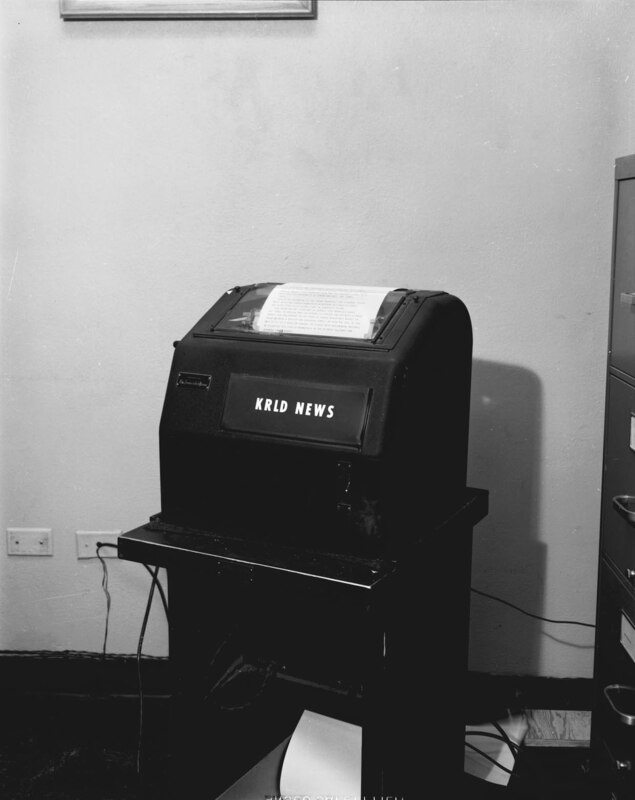 This close-up shows what teletype copy looked like back then. The typebars for some of the letters (R, B, P and A) had a bunch of accumulated crud, so it looks like somebody had filled in the letters, but it just means that the machine needed cleaning. This short video clip shows a similar machine in operation. 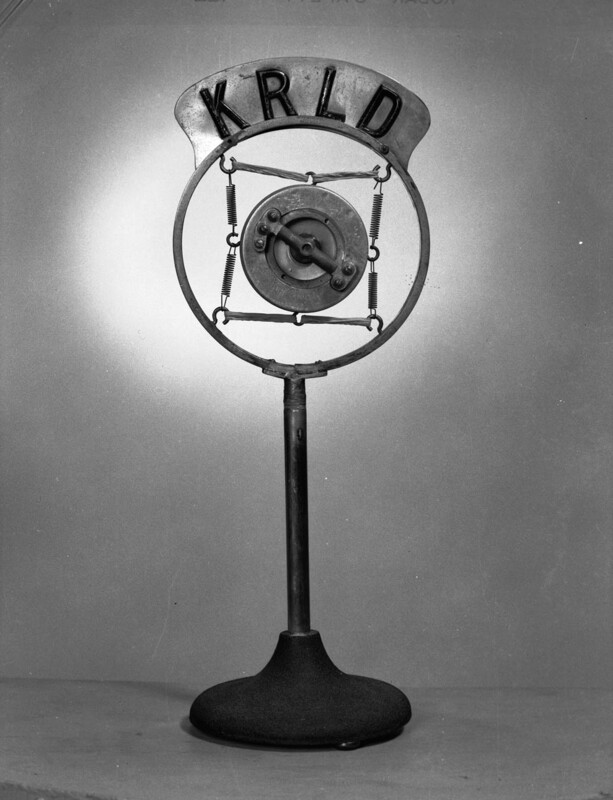 Much more discussion of the national teletype system for broadcast stations can be found on this page. 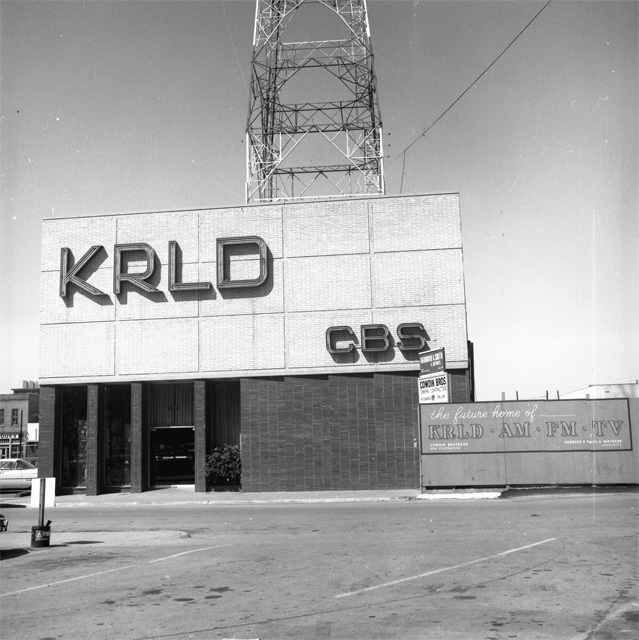 According to current KRLD Chief Engineer Erik Disen, this is a rare picture of the old KRLD radio transmitter site in or near the area now occupied by Love Field. 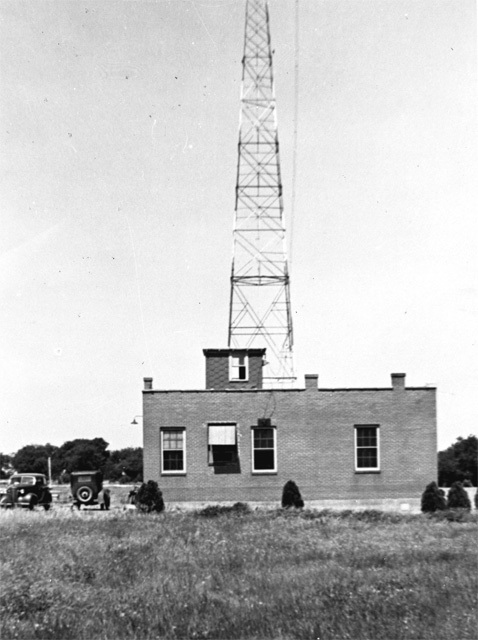 The station transmitted from this site between about 1930 and 1938, when the transmitter site moved to Garland. 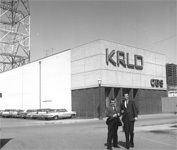 Mr. Disen notes that KRLD operated at 10 kW on 1040 kHz from the building in this picture. 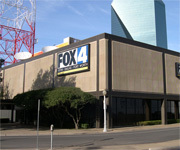 The station operated with a Marconi antenna suspended between two self-supporting towers, and in this picture the feedline is visible at the top of the building. 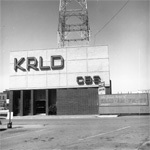 Here is another picture of the old KRLD radio transmitter site... I think. 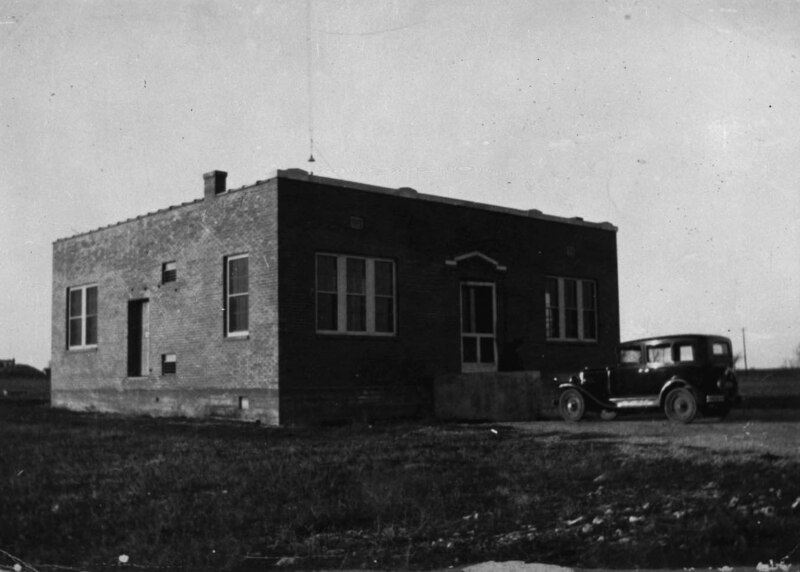 This building is slightly different in appearance from the old transmitter building shown above. 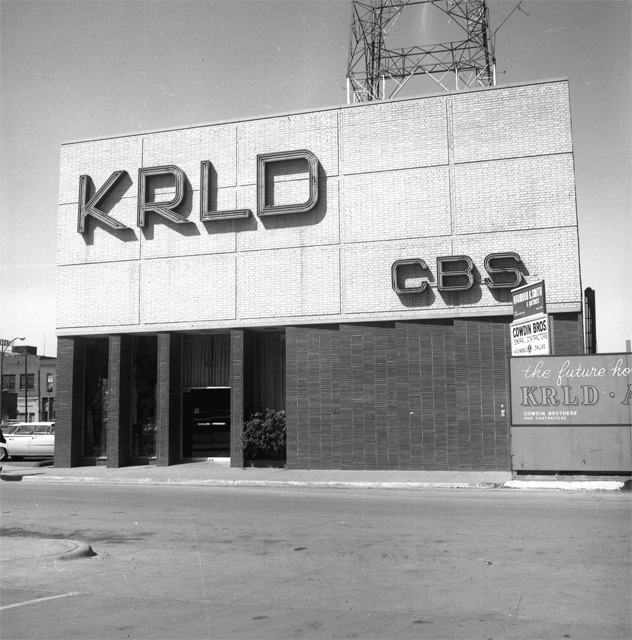 These are pictures of the "old" KRLD building in downtown Dallas just before the construction of the "new" part of the building on the east side, which took place in 1963. Then and Now comparison: These two pictures were taken at about the same location. 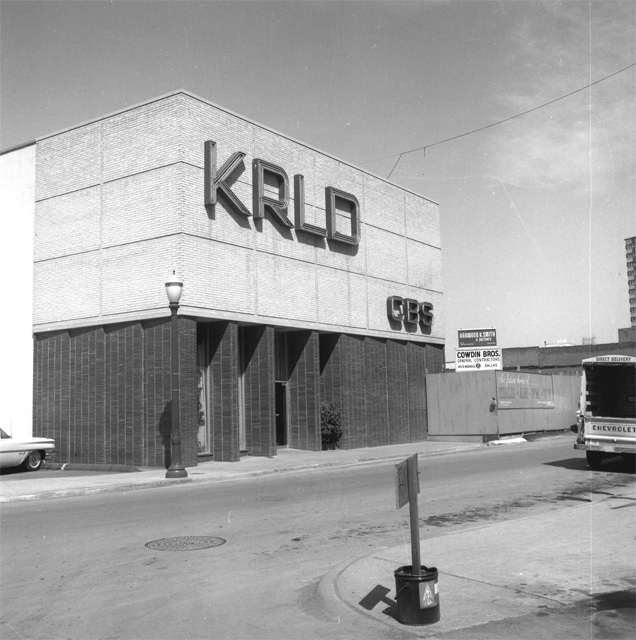 Notice that the tower isn't painted exactly the same way today, but the lamp post is still there. Notice the two gentlemen in the lower right corner. 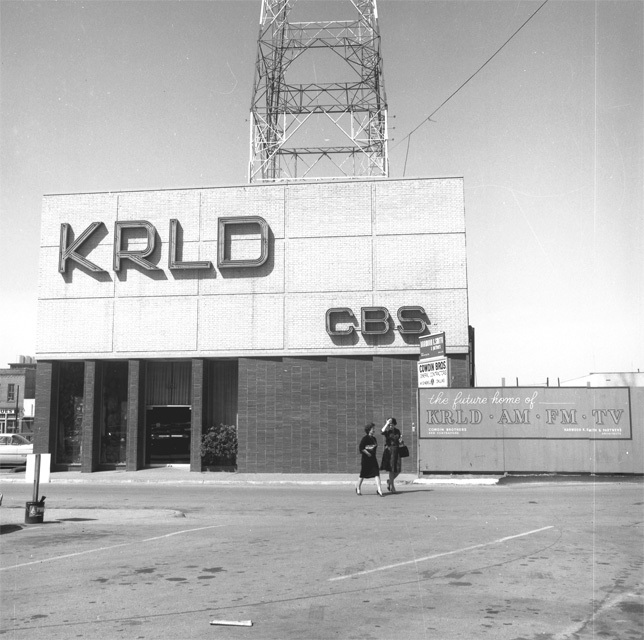 New: Leslie Turner's Old Pictures from KRLD. 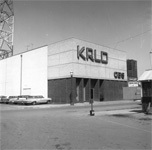 A couple more very old pictures from KRLD Radio. Updated on June 24, 2012.